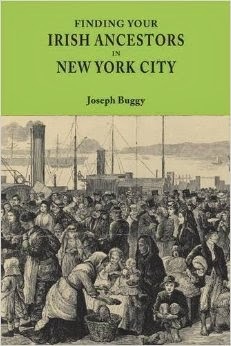 In the years following 1845 New Brunswick experienced an influx of Irish immigrants due to the failed potato crop in Ireland. The wave abated by 1851 but is commonly remembered as the sole contribution of Irish to New Brunswick. Yet thousands of Irish were living in New Brunswick prior to these events. In 1851 and 1861 New Brunswick conducted full censuses which were to become invaluable records documenting the makeup of the province. In particular these records highlight the “Irishness” of the province, bringing to light a substantial number of Irish persons who made their home in New Brunswick prior to the famine in their homeland. Unlike previously gathered statistics, such as those from 1841, these returns enumerated the birthplace of immigrants living in New Brunswick, identifying those born in England, Scotland, Ireland. New Brunswick shares a long border with the U.S. state of Maine. Therefore, there would have been a lot of migration to the New England region and vice versa. The port city of Saint John is in New Brunswick. Irish immigrant who stayed in the city for an initial few years in 1849-51 and 1859-61 period will be recorded. Many Irish immigrants might be captured in these censuses who then moved elsewhere in Canada. For more detailed information about the Irish in New Brunswick in the mid 19th century, you can read this paper by P.M Toner - The Irish of New Brunswick at Mid-Century: The 1851 Census. Library and Archives Canada. Irish Immigrants in the New Brunswick Census 1841 and 1851. Date Unknown. Available online at http://archives.gnb.ca/Irish/Databases/Toner/?culture=en-CA: accessed 22 May 2014.